Maha Al Nasser got a little bit more than she bargained for on her shopping trip to the local mall. She may have had groceries on her mind when she set out that day, perhaps a few Christmas gifts too. By the time she got home however Ms Al Nasser had bought a $207,000 time-bomb – a home loan she could not afford. It was to break up her marriage and bleed her dry financially. Maha Al Nassar was signed up at the mall by scouts for the now defunct Adelaide mortgage broker, Power Loan. On top of the $207,000 loan, she was also inveigled into making a $120,000 ‘property investment’ in the doomed Westpoint Financial group. The idea was that the income from the Westpoint investment would meet the repayments on the loan. Little did she know that financial planners were being paid hefty upfront commissions to plonk their unwary customers into Westpoint products. Little did she know Westpoint would soon go belly up. The South Australia magistrate’s court sentenced founder of Power Loan, Stephen McArdle, to 12 months in prison. 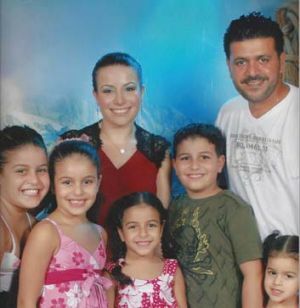 There has been no justice for Maha Al Nassar though, or her family. It began with that fateful trip to the mall, Westfield Shopping Centre in Parramatta, Sydney, in December 2004. She was approached by a Power Loan salesman with a deal she could hardly refuse: a ‘low-doc’ loan which did not require any proof of income. “I told them my husband was a sole trader and I wasn’t working at the time but I could show them bank statements. They said there was no need to mention that I was not working or getting Centrelink payments,” Ms Al Nasser said. Later that evening, the Al Nassers received a call at home congratulating them – their loan had been pre-approved. When they found a house to buy two weeks later, Power Loan agents advised them to go with a “non-bank lender”. “We won’t go to a bank, they said. We will be using Perpetual Trustees, who is a bit more expensive but we won’t need to prove our income,” Ms Al Nasser said. The loan was not enough however. Power Loan then advised the Al Nassers to borrow more money for an investment property with Westpoint, which was later to collapse. The Power loan agents spent hours with the couple at home to secure the deal. Finally, they agreed. “Power Loan said I will get money from this investment and it’s like wages for me and Westpoint can put the money in my loan account and I can pay off my loans in 15 years,” Ms Al Nasser said. “My husband was very uncertain because Power Loan did not ask for proof of income or our tax returns. I caved in because the agent kept saying he has his own money in the Westpoint project,” Ms Al Nasser said. Westpoint imploded in 2006 and Ms Al Nasser is now paying off a debt on a Westpoint property which no longer exists. But the Al Nassers never filled out a loan application form for either of their loans – the broker did most of the filling out, some in their presence. They only signed paperwork for privacy consent and declaration of financial position. BusinessDay has reviewed the relevant paperwork. “Often they would come to our house late to get signatures and then run off,” Ms Al Nasser said. After Westpoint collapsed and the investment income stopped coming in to fund their loan, the Al Nassers approached the Financial Ombudsman Service (FOS) for help. FOS said it could not act as Power Loan was not a member. BusinessDay verified the company which ran Power Loan, National Finance and Trading, only signed up as a member in 2013. FOS is a private complaints resolution service funded by financial institutions according to the numbers of complaints against them. Likewise, although with a good deal more dithering, the Credit Ombudsman Service (COSL) took four years to respond to the Al Nassers’ complaints, only to say they were “unable to act”. “The law did not impose an obligation on a credit provider to make loan repayments or verify the information provided by the borrower,” said the explanation. “Accordingly while Perpetual/Advantedge did not fully comply with their lending guidelines but have substantially obtained consistent information regarding the applicants’ financial position. “Rather the complainant and Mr Al Nasser appear to have willingly entered into the loans. “Additionally, the Contracts Review Act does not protect a borrower who has been foolish, gullible or greedy,” the letter from the Credit Ombudsman said. The Australian Securities and Investments Commission was also approached by the Al Nassers but the corporate regulator said it could not act as Ms Al Nasser’s loan sat within the old Consumer Credit Code. ASIC is now under pressure from an impending Senate Inquiry into its effectiveness, to which consumer activist Denise Brailey has filed evidence of hundreds of cases of fraud in loan documentation. Ms Al Nasser never saw a “loan service calculator” or the income page that indicated her husband’s salary was $125,000. BusinessDay reviewed the documents and found the income pages were not initialled by either Mr or Ms Al Nasser. When Ms Al Nasser approached Power Loan for assistance, the indicted director, Stephen McArdle said he would “give her $40,000 if she doesn’t talk to the media”. BusinessDay sighted four payments of $10,000 over the period September 2006 to November 2006. The stress of financial troubles broke up the Al Nasser’s marriage. Ms Al Nasser now looks after her six children and has to rely on financial assistance from other family members as well as her former husband. “Everyone is trying to push the blame to someone else. These government bodies open for nothing. There is no point having them there,” Ms Al Nasser said. Perpetual said it was not responsible for the Al Nasser predicament as it was only acting as “trustee for a number of mortgage trusts. “Given our clients are the mortgage providers, it is more appropriate that they comment on their direct client matters,” a Perpetual Trustees spokesperson said.